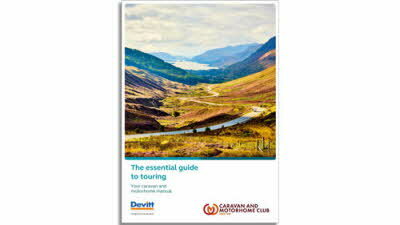 The Essential Guide to Touring has been produced by The Club as a useful reference book for anyone new or not-so-new to touring. It has 12 sections of useful information and advice, including; choosing a caravan, choosing a motor caravan, towcars, practical & legal aspects, on the road, on site, caravanning abroad and care & maintenance. Please note anyone booked to attend one of The Club's training courses will receive a copy of the Essential Guide in their course pack.